A tonne of ice might be a bit much, you reckon? The Manitowoc RF-1200 only makes half that amount and takes up less space, too. If you’re in the market for some mammoth flake ice production, Manitowoc’s got your back. Their RF-2300 modular flake ice machine delivers an astounding 1,093kg of ice per day. According to our internal estimates, that’s enough to cover with a permanent layer of snow either a double polar bear flat, or a whole penguin ice rink. Fun fact: these small, soft bits of ice with a 73% ice to water ratio are also perfect for assembling cushy, cooling food and bev displays. 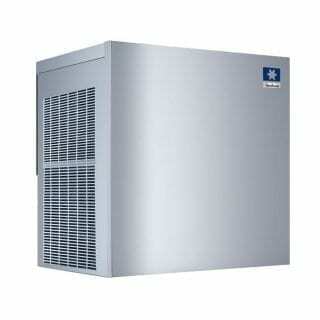 The RF-2300 will be able to meet the ice needs of even sizeable businesses such as supermarkets and hospitals. This piece of industrial-grade equipment features a sturdy stainless steel structure and high load capacity bearings: this ice maker will stand the test of time. This machine is great for: Large-scale buffets, countertop displays (seafood, poultry, fruit and veg), salad bars, medical, science labs, and restaurant applications.